As a teen back in the 60’s, Tim was an avid Tonight Show with Johnny Carson watcher, and even then was "replaying" Johnny’s popular monologue the next morning to school chums who weren’t night owls like Tim. 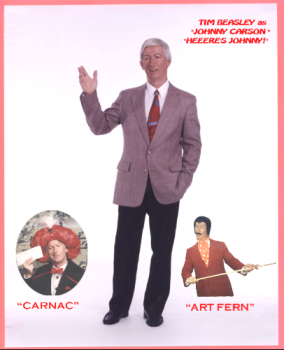 Tim fine tuned his years of impersonating Johnny Carson into a professional and popular entertainment feature. 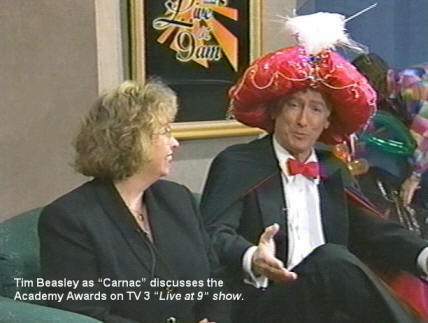 He even impersonates the hilarious Johnny Carson characters Carnac the Magnificent and Art Fern the Tea-Time Movie man. 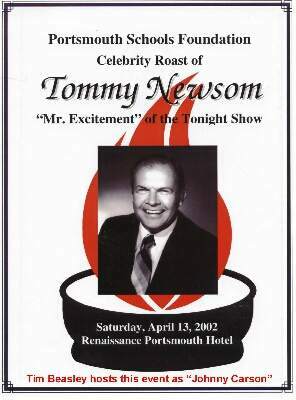 He’s proud of his many Johnny Carson impersonation show appearances on stages across the country….in fact, he was even engaged to celebrity roast Tommy Newsom, the well known bandleader who shared the Tonight Show stage with Johnny Carson and Doc Severinson. 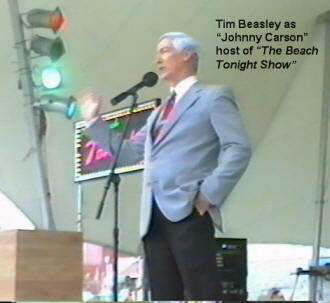 Tim as Johnny Carson has also hosted his very own "Celebrity Stars" impersonator show for three years on the Virginia Beach resort’s main stage, in his "Beach Tonight Show" produced by SFX Clear Channel Entertainment. 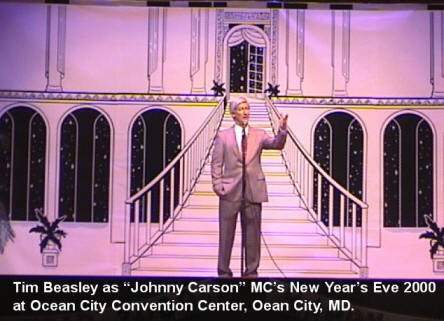 Let Tim bring Johnny Carson star power to your event or promotion! event or promotion!